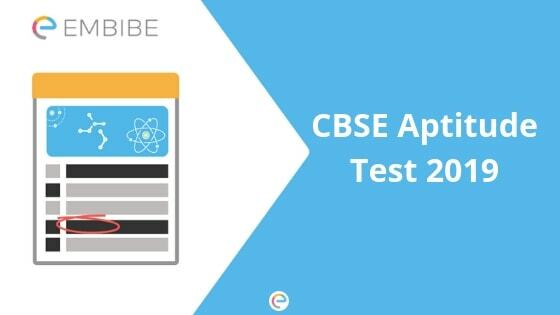 CBSE Aptitude Test 2019 | Central Board Of Secondary Education (CBSE) recently introduced KYA for the students. The Know Your Aptitude (KYA) or CBSE Aptitude Test was launched to make students aware of their skills and strengths. The test will help students in deciding that what choices they should make for the future. The test is launched for the students of 9th and 10th Class. The National Council of Educational Research and Training (NCERT) is the developing authority of the KYA Exam. The KYA will help students in making the right career choices as per the strength and skills they possess. In support of the KYA, schools have also said that this move will be beneficial for the students. Students who are interested in attempting the Know Your Aptitude (KYA) can download the KYA documents on January 31, 2019. Previously the date of the same was January 29, 2019. The registration can be done on the official website of CBSE i.e. cbse.nic.in. For the registration process, a link will be generated on the official website itself. Students are supposed to use their School Login ID in order to enter into the system. To evaluate the Knowledge Your Aptitude Exam, CBSE will train teachers in terms of the assessment, scoring, processing, and technicality. The training will be provided through the booklets released by CBSE. As the exam is not mandatory, it is advised for the students to attempt the exam. It will help them in knowing their strong areas and build a secured future. The scores of the aptitude tests will be calculated by the teachers. How To Download the Documents For CBSE Aptitude Test? As you know that the link for downloading the CBSE Aptitude Test documents will be available on January 31, 2019. Follow the steps to download CBSE Aptitude test documents as given below. Step 1- Go on the official website of CBSE i.e. cbse.nic.in to find CBSE Aptitude test. Step 2- Use your School ID and password (you got when you filled the LOC form). Step 3- Download the Documents to be eligible for the exam. As you know that KYA is not a mandatory exam, still we advise you to give it an attempt. It will not only introduce you to your strengths and weaknesses, but it will also be helpful for you in choosing the right career. We hope that our article on CBSE Aptitude Test was useful for you. If you have any query or feedback to share with us, feel free to drop a comment below and we will get back to you within a very short time. Embibe wishes you all the best for your future endeavor.